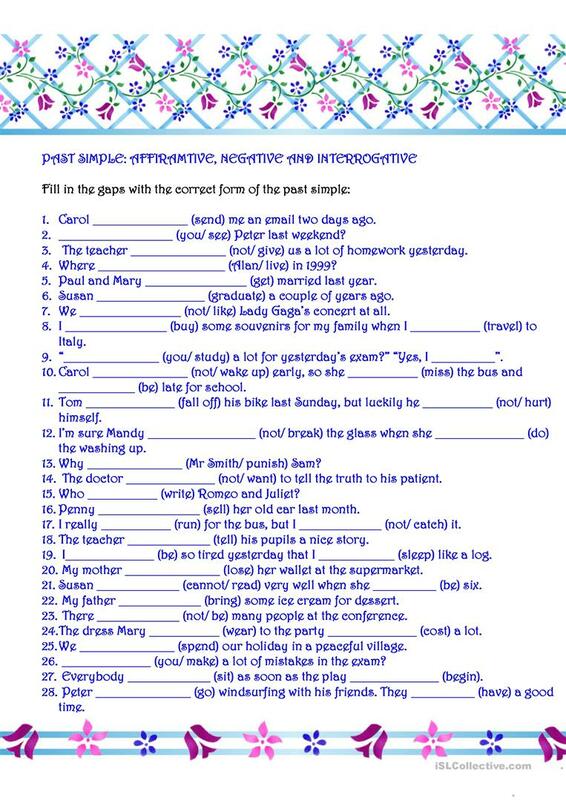 revision of the past siimple in the affirmative, negative & interrogative form. The above downloadable handout is meant for elementary school students at Elementary (A1) and Pre-intermediate (A2) level. 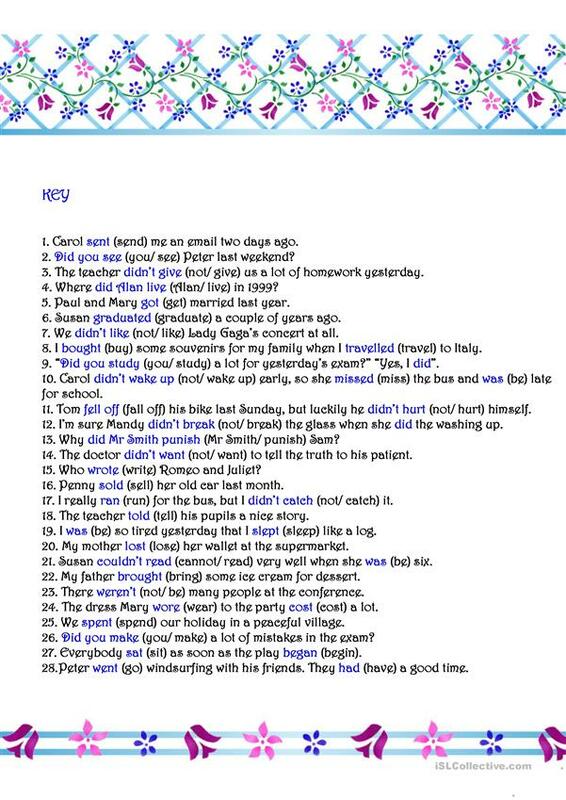 It is aimed at practising in English. The exercises come with the solutions.